In the aftermath of the financial crisis, the migration crisis, Brexit and the growing popularity of populism in the Member States, trust in the European Union is decreasing. As a response to this Euroscepticism, the EU is establishing more and more mechanisms to prevent a crisis from happening again resulting in a more and more powerful Union. One of the current developments contributing to the power of the EU concerns the shift of direct enforcement powers from the national to the EU level. These powers enable EEAs to directly monitor, investigate and sanction private actors in the Member States when they violate substantive norms of EU law. The problem is that while these powers are shifting, the control on these powers appears to remain separate between national and European control agencies. This causes accountability gaps and will likely decrease citizens trust in the EU even more. Time to adapt the accountability framework! It is relevant to consider the status and role of the EU guardians as they fulfill a key role in having the competence to hold the EEAs to account. As the guardian of the EU budget, the ECA audits the reliability of the EEAs accounts, the legality and regularity of their underlying transactions and the soundness of EU financial management (art. 287 TFEU). The ECA cannot, however, impose binding consequences for perceived failures on the part of an EEA. The question arises what the influence and value of the ECA in holding the EEAs to account then actually is, if ECA’s work lacks any binding status. Is it an effective accountability forum? In academic literature, ‘accountability’ has a diversity of meanings. One of the leading definitions – that of Bovens – is ‘a relationship between an actor and a forum in which the actor is obliged to explain and justify his conduct and the forum can pose questions, pass judgement and the actor may face consequences’. Assessing the ECA against this definition, it functions as a quasi-legal forum (non-binding judgements) conducting independent and external financial and administrative audits on the EEAs. The accountability is thus not limited to merely financial issues but includes the power to audit the more politically sensitive area of effectiveness, efficiency, performance, results and impact. Audits are based on records, on-the-spot checks and information provided for by the EEAs. Figure 1: the ECA functions as an information tool for the European Parliament (EP) and the Council in the latter’s hierarchical relation holding EEAs to account. 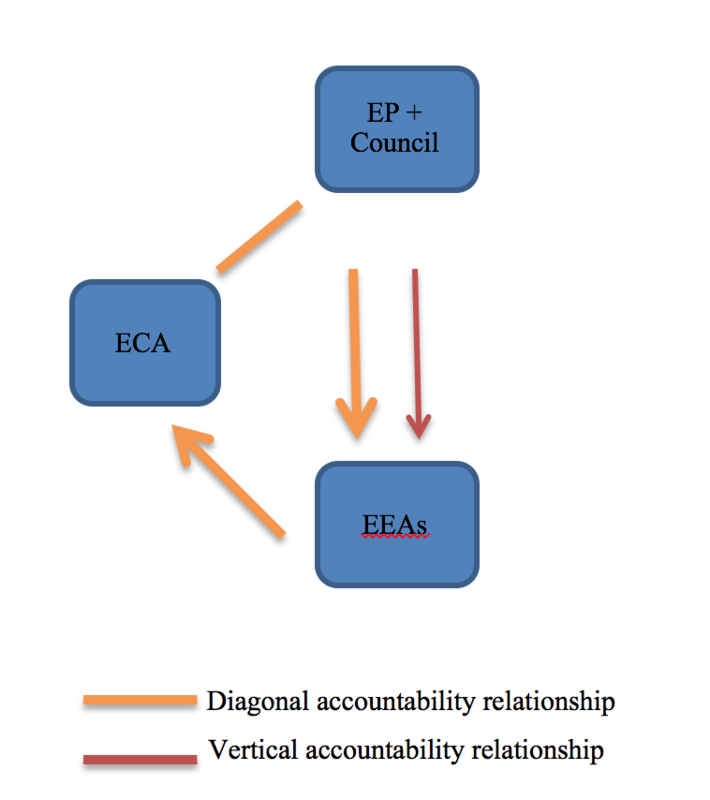 As Figure 1 illustrates, the ECA does not stand in a vertical relation with the EEAs and lacks the power to impose binding consequences. The EEAs, however, do have an obligation to cooperate with the ECA, i.e. to provide them with the necessary information (article 287(3) TFEU). They do not only undertake much effort to cooperate, but follow-ups conducted by the ECA reveal that they moreover implement the ECA’s non-binding recommendations to a broad extent! 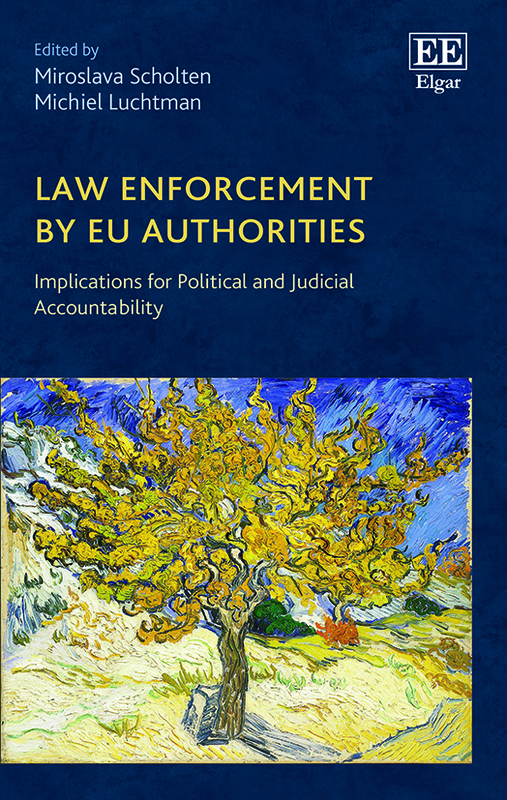 The EEAs thus seem to regard ECA’s work as valuable and authoritative. Let us give you an example. In 2005, the ECA conducted a performance audit into the Office de Lutte Anti-Fraude (OLAF) through which it audited the investigation management of the European Anti-Fraud Office (Special Report No 1/2005). The ECA made seventeen recommendations to refocus OLAF’s activities on the investigative function, to improve its efficiency and to demonstrate its effectiveness. Eleven of them had been fully accepted, three partially and three had not been accepted. In 2011, the ECA followed up these recommendations to see whether they had been implemented. Three has still been declined, but fourteen had been totally or partially implemented! (see Figure 2). It is evident that OLAF made substantial changes to its investigative management, furthermore the electronic case management system (CMS) became increasingly used (a body set up in response to a previous ECA recommendation) and a time management system (TMS) was initiated (Special Report No 2/2011). 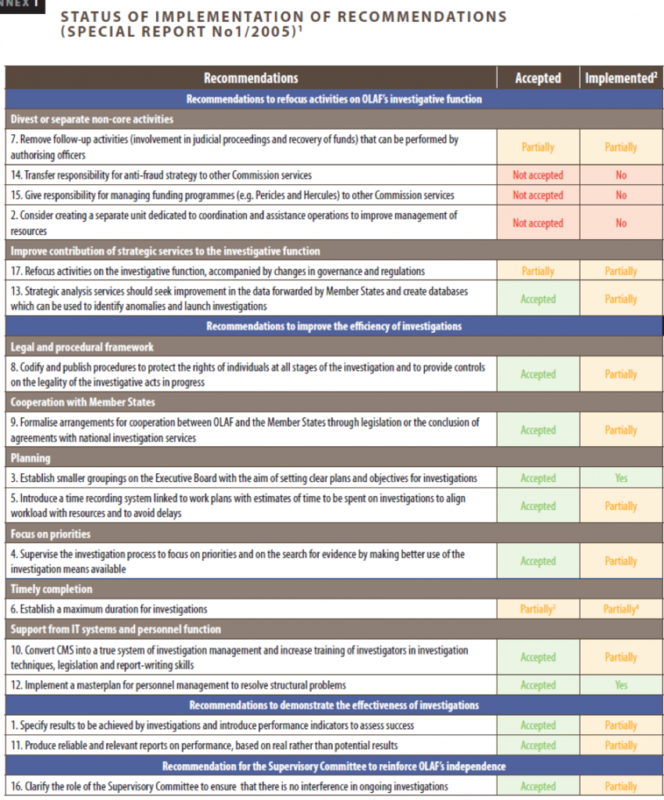 Figure 2: status of implementation of recommendations made in Special Report No 1/2005. Well, this concerns only one example, not very convincing to conclude the ECA has a substantial influence. 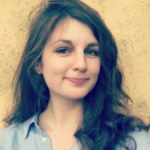 Let us take a look at the European Commission (EC), which is the ECA’s primary auditee as it manages more than 80% of the EU budget together with the Member States (shared-management). The ECA followed up the EC for forty-four recommendations derived from eight of their Special Reports produced between 2009 and 2012. The ECA concluded that the EC largely implemented 89% of their recommendations (Special Report No 2/2016: 2014 Report on the follow-up of the European Court of Auditors’ Special Reports). What is the reason that these EEAs cooperate so well with the ECA and why do they implement the ECAs non-binding recommendations to such a broad extent? This most likely relates to the fact that the ECA will eventually report the audit results to the European Parliament (EP) and the Council. As such, the ECA is appointed to assist the political branch in their exercise of powers of control on the implementation of the EU Budget (article 287(4) TFEU). The EP and Council use the reports in giving discharge to the EEAs for the implementation of the budget and in approving the closure of their accounts. As the EP and Council do stand in a hierarchical vertical relation vis-à-vis the EEAs and can impose binding consequences on the EEAs, the work of the ECA is seriously taking into account. The ECA has direct access to valuable information, but relies on the EP for the implementation of consequences. In this way, the ECA enjoys an informal but influential say. This two-step, indirect relation between the ECA and EEAs is defined as diagonal accountability: accountability in the shadow of hierarchy. It is this informal power, which makes the ECA an influential diagonal accountability forum. All in all, although the ECA’s work lacks a binding status, their influence and the value of their reports must certainly not be underestimated! The accountability relation with the EEAs concerns a diagonal one, providing the ECA with an informal power to hold the EEAs to account. Next to their function of as an auditor, the ECA functions as a support for the political branch in providing them authoritative information in holding the EEAs to account for the discharge of their share in the EU budget, the closure of their accounts and the delivery of results as envisaged. In this latter function, the ECA contributes to the strengthening of the political accountability. The ECA’s publications are treated as valuable, authoritative sources of information by the EEAs, the EP and the Council and their recommendations are often implemented in practice. Therefore, it can be concluded that the ECA is an active guardian in holding the EEAs to account for the exercise of their direct law enforcement powers. The ECA’s work thus plays an important role in public accountability, responding to the demands of transparency and contributing to the strengthening of the citizen’s trust in the European Union. 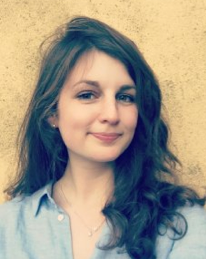 Emma van Gelder (photo) is a Master student Legal Research at the University of Utrecht and a trainee at the European Court of Auditors. Prof. dr. Alex Brenninkmeijer is a Member of the European Court of Auditors in the Dutch Cabinet and Professor of the rule of law's institutional aspects, Utrecht University, the Netherlands. Gaston Moonen is the Head of the Dutch Cabinet at the European Court of Auditors. Previous Previous post: Is Santa’s sleigh airworthy?